On March 27, TB survivors are meeting with their congressional representatives and staff. 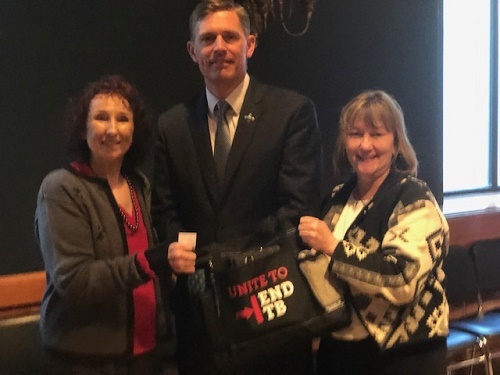 Pictured above are Sue Coates (New Mexico TB survivor), Senator Heinrich, Diana Fortune (New Mexico TB Program Manager and NTCA President). 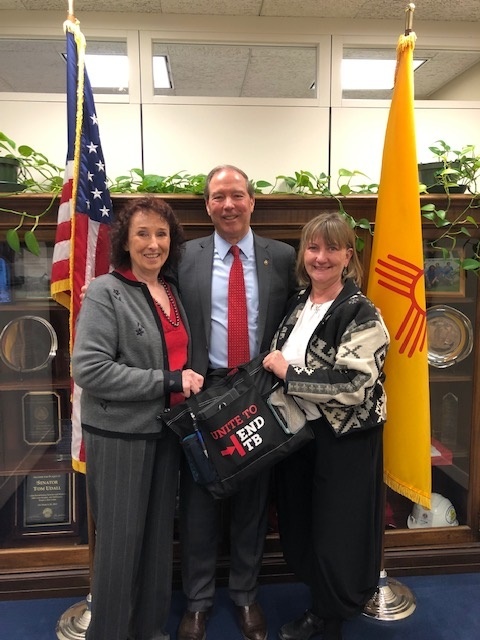 Pictured above are Sue Coates (New Mexico TB survivor), Senator Udall, Diana Fortune (New Mexico TB Program Manager and NTCA President).